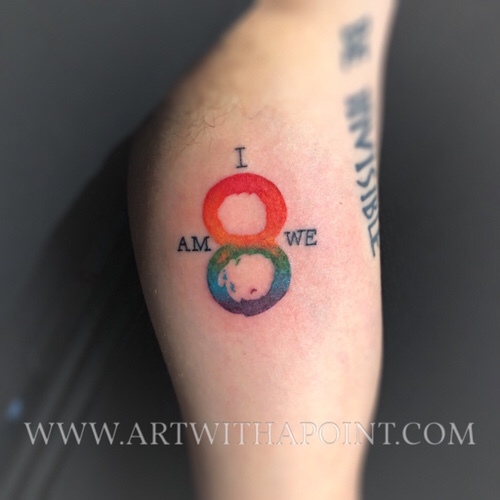 SENSE8!!! So stoked to do this fan art / Pride celebration piece at the Pop Up this week! Have fun this weekend, be safe and above all else, be true to you! 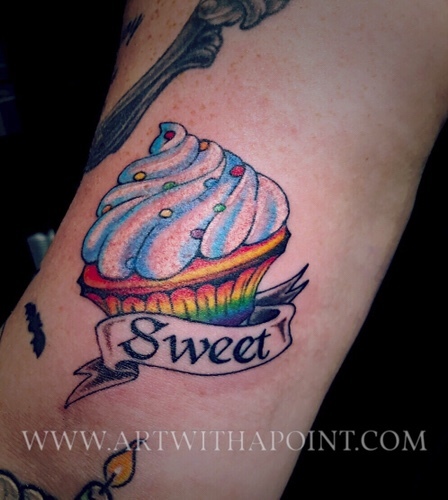 We had some good fun at the Pride Pop Up, all jacked up on donuts and cupcakes, club music, disco and tattoos. 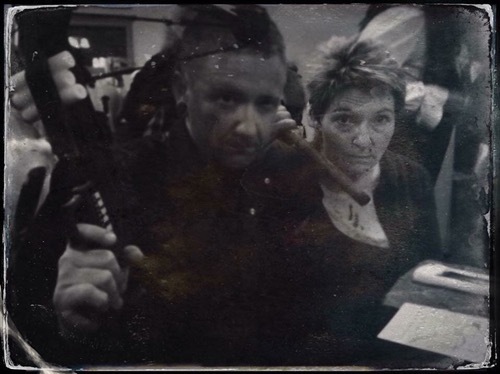 I even had added myself to the lineup! (Just look at me holler when @marvelous.matt placed the stencil!) Stay tuned for pics of the new tattoos! ALSO… We have a few Pride AWP shirts leftover (limited sizes) Get yours here! Happy Friday the 13th! 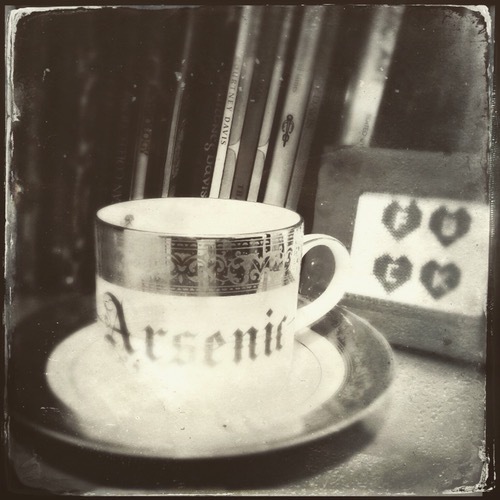 From Awen’s “Cabinet of Curious Things I’d Like to Tattoo”! Now go forth and be awesome! 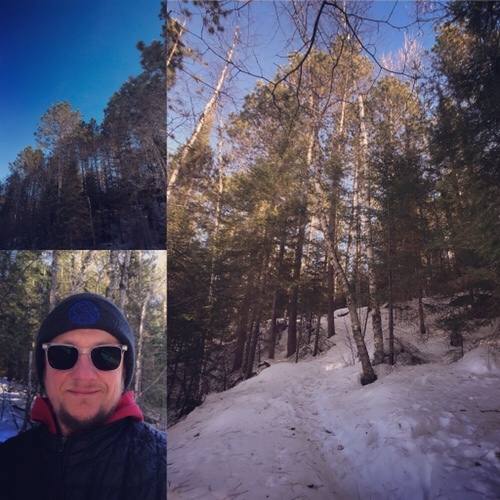 Playing hard is the balancing point to working hard – so I loved getting in some miles of winter hiking today. Spotted an Osprey, watched a Bald Eagle coasting on thermals, was amused by the antics of Ravens and savored the scent of fresh pine. 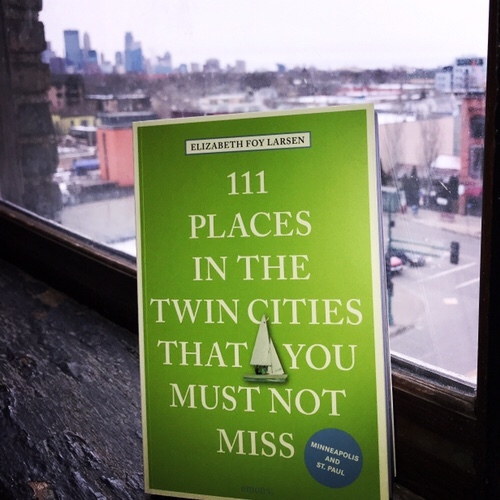 Check out Elizabeth Foy Larsen’s new book, “111 Things in the Twin Cities You Must Not Miss”. I’m honored that Art With a Point is included among some of the most distinctive places that make the Twin Cities a place we know and love! As Elizabeth wrote, I view tattooing as a rite of passage. Something that we carefully consider and mindfully choose – and as such something that requires necessary time and collaboration. I’m one person creating hand made art one piece at a time, which means that I am usually booking appointments a few months in advance. For that reason, if you’re traveling in from out of town and would like some ink – email me and we’ll book an appointment in advance! One point of clarification regarding scheduling – I understand that on occasion a trip to the Twin Cities may be spontaneous, in which case people are always welcome to contact me to inquire about the possibility of an opening. Getting an appointment on short notice is dependent on several variables including my current client schedule as well as the time needed for the design we’ll be doing. I do my best to accommodate people traveling in from out of town – I love that you’re here enjoying beautiful Minneapolis and St. Paul! 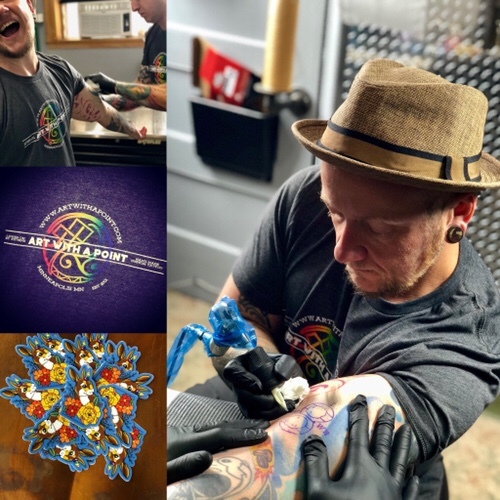 And I appreciate the understanding that I’m one guy creating one tattoo at a time, which means that even with as much as I love to tattoo – there are limits to my time. Thanks for your interest and understanding! Every now and then I design a piece of my own that I’m in the mood to tattoo. 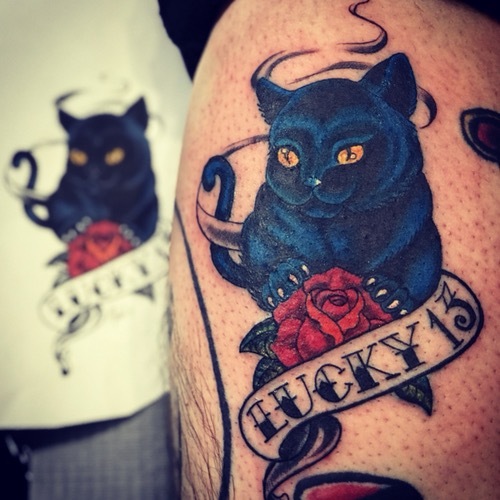 This lucky guy snapped up the Lucky 13 Cat I posted on Friday the 13th. Stoked to have the opportunity to tattoo this original vintage throwback design! Have a Happy Halloween and a Blessed Samhain! Contemplating tomorrow’s Halloween playlist over a warm beverage. Happy Lucky Friday the 13th! 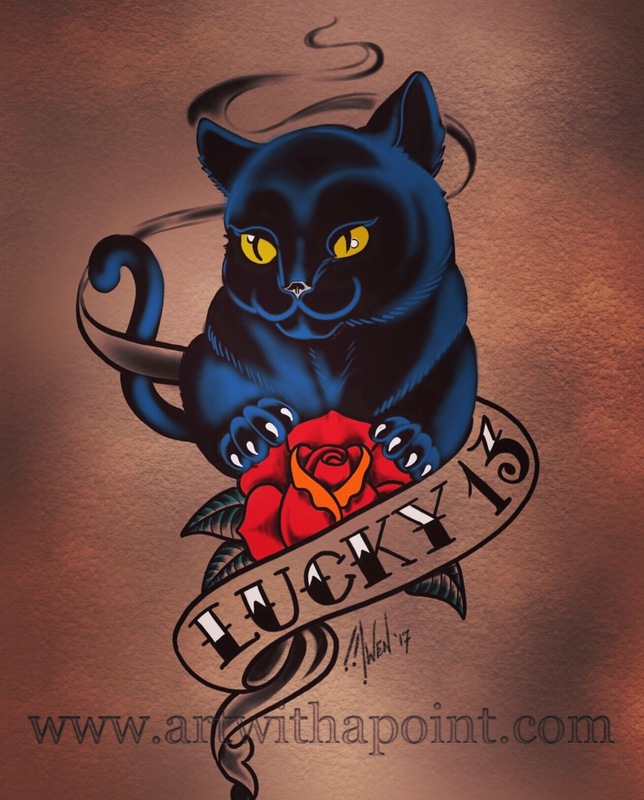 I’ve been binge watching cheesy horror flicks after work this week – here’s a fun quick @fridaythe13thtattoo to celebrate the lucky day!………….